When you are handed a prescription by your physician or your pharmacist there are many questions you should know the answer to before walking out the door. Below I highlight my top five. CC Flickr Shared by Rob! 1. What is this medication for? This may seem obvious, but countless times when I ask a patient if they know what their prescription is for they tell me they have no idea. When someone doesn’t know what a medication is for, there is little motivation to take it correctly or even at all. 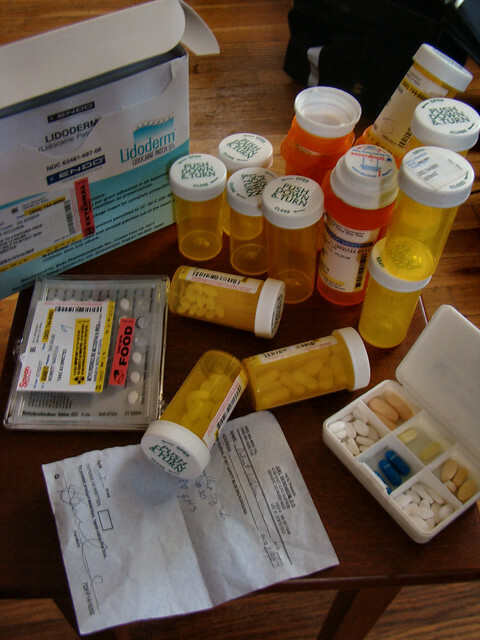 Most drugs have more than one indicated use. Know what yours are being used for. 2. What will happen if I don’t take this medication? This may seem a strange question, but the reality is that over 50% of medication prescribed is either taken incorrectly or not at all. (Health professionals are a little vain- we tend to think if we prescribe it, you will take it.) If you don’t take your high blood pressure medication, you have a higher chance of having a heart attack or damaging your kidneys. If you don’t take an antibiotic for a nasty cold…well, really nothing is going to happen because antibiotics do not work for colds. There are many prescriptions that are unnecessary or could be avoided with “watchful waiting” and there are some prescriptions that can be deadly if you do not take them exactly as prescribed. 3. When can I expect this medication to work for me? An important piece of information. Will it treat my problem/condition in an hour or in 2 months? Knowing what to expect is essential. Someone being treated for clinical depression needs to know that the medication they are getting may not start to work for 2 to 6 weeks. That’s a long time if you are expecting to feel better tomorrow. Equally important is a person in acute pain to know that the pain medication should start working in an hour or so. If not, it may need to be adjusted. And if after 3 days of antibiotics your skin infection is spreading, don’t wait for the ten days of pills to be over. You need to be reassessed right away. Know what to expect and always ask questions if you are unsure. 4. What do I do if I have a problem with this medication? Not all problems or side effects require another appointment. Many issues can be solved by tweaking the dose, timing, formulation or way of taking the medication. Sometimes a change of medication is necessary. Find out what some of the common problems or side effects of your medication are and what you can do about them if they happen. 5. Can I take this medication with all my other medications? I find that most patients will ask me about this. What is often missed though are the non-prescription medications, vitamins or herbal products they are taking. Patients tend not to mention these as they are often viewed as “safe” and not harmful. But in fact, there are many vitamins and “natural” products that can interact with prescription medications. It is important to mention them all. We all know it is impossible to remember everything your doctor or pharmacist tells you. And that is where follow-up and communication comes in. When I see a patient I advise them of any follow-up that is needed or how to reach me for questions. Typically by phone or email, but for more complicated learning I’ll see the patient in the office. Whether your nurse, pharmacist or physician provides you with your prescription, ensure you receive proper follow-up and educate yourself. You are the person with the most vested interest in your own health.